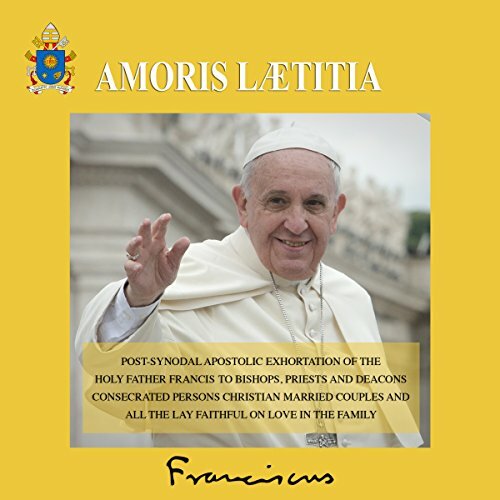 Amoris Laetitia (Latin for The Joy of Love) is the postsynodal apostolic exhortation by Pope Francis. Dated March 19, 2016, and released on April 8, 2016. It follows the Synods on the Family held in 2014 and 2015. Its introduction and nine chapters comprise 325 numbered paragraphs. Quotations are drawn from earlier popes, documents of the Second Vatican Council and regional bishops' conferences, St. Thomas Aquinas, and Rev. Martin Luther King, Jr. It includes what is thought to be the first reference to a film in a papal document, Babette's Feast (1987), along with references to works by Jorge Luis Borges, Octavio Paz, Antonin Sertillanges, Gabriel Marcel, and Mario Benedetti. Francis begins by noting a division of opinion during the synods: "The debates carried on in the media, in certain publications and even among the Church's ministers, range from an immoderate desire for total change without sufficient reflection or grounding, to an attitude that would solve everything by applying general rules or deriving undue conclusions from particular theological considerations." He did not propose to resolve those differences by imposing unity: "Unity of teaching and practice is certainly necessary in the Church, but this does not preclude various ways of interpreting some aspects of that teaching or drawing certain consequences from it. This will always be the case as the Spirit guides us towards the entire truth" (paragraph three). He warns the listener that the document addresses many issues in many different ways, and therefore, "I do not recommend a rushed reading of the text." He asks the listener to consider the text "patiently and carefully" (paragraph seven).